Eat & dance the night away at our Magical Midnight Masquerade!!! Dual club DJ’s Jeffery B and Marlon will be spinning a Mind blowing Set with Vegas Quality Light and Video Screen Show. Be Entertained by Cirque de SOLEIL Aerialists and Dancers. Includes Party Blowers, Elaborate Decor, Venetian Photo Booths, Drinks, Gourmet Fruit & Dessert Bars. for the Stroke of Midnight!! Make 2018 a New Year’s memory that lasts a lifetime! 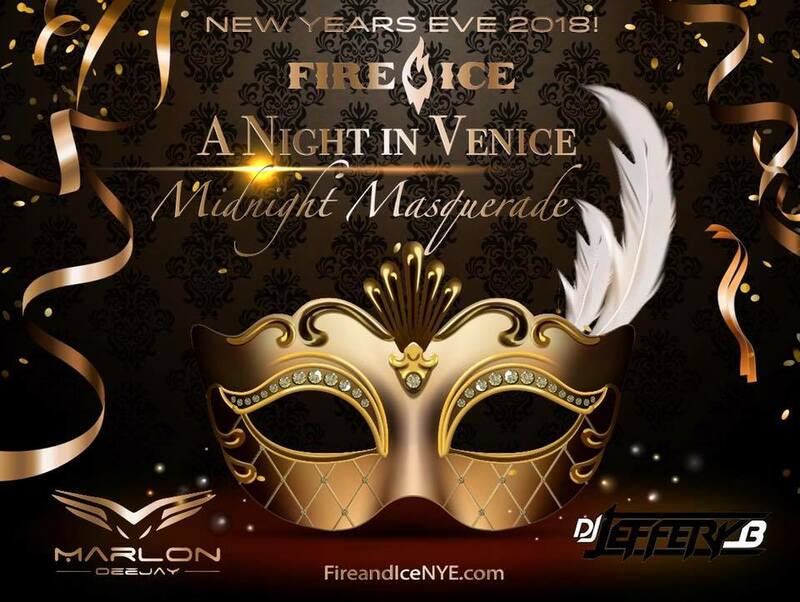 © 2019 Fire and Ice NYE.